When HR showed Remy to her seat at her new job, she had no clue she’d be sitting right next to her soul mate, Lamont. The chemistry was instant and now the “cute guy at work” is her husband. 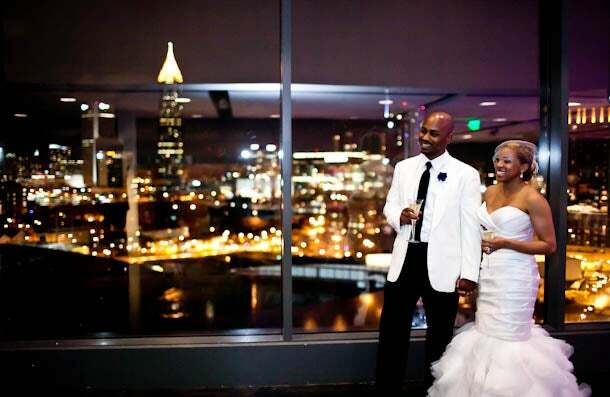 See their fabulous Atlanta wedding style. 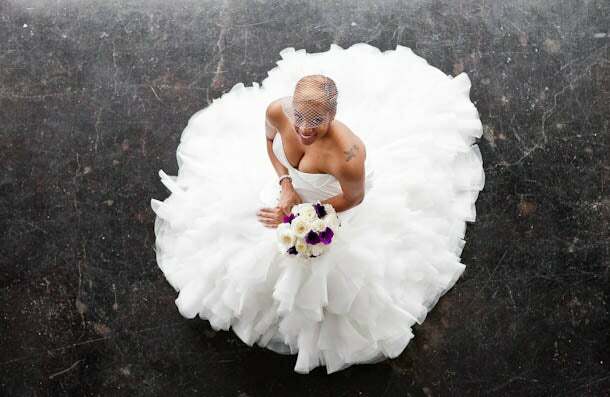 Remy’s stunning mermaid style wedding gown came from popular bridal designer Winnie Couture. 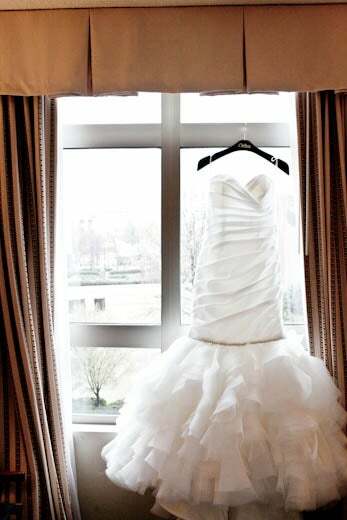 “They were amazing about picking out dresses based on my vision,” she tells us. Remy’s longtime hair stylist, Barry Reynolds from She Salon, gave her a low chignon bun for the big day and styled her bridal party. Tar’Ra Nichole, from Love Your Transformation, did a wonderful job on makeup for all the ladies. “The positive evolution of our relationship and the way she made me want to be a better man helped me know she was ‘The One,’” says Lamont. 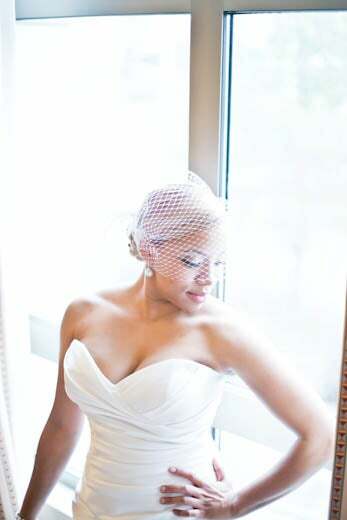 "I ended up falling in love with the top of one dress and the bottom of another, so they custom made my dress," says Remy, who chose to accessorize with a birdcage veil and ostrich feather hair piece. Chic shoes and weddings go together like bread and butter. Check out these beauties! Remy gifted her mom with this one-of-a-kind custom handkerchief to show thanks and appreciation for all that she has done. Could this be any sweeter? 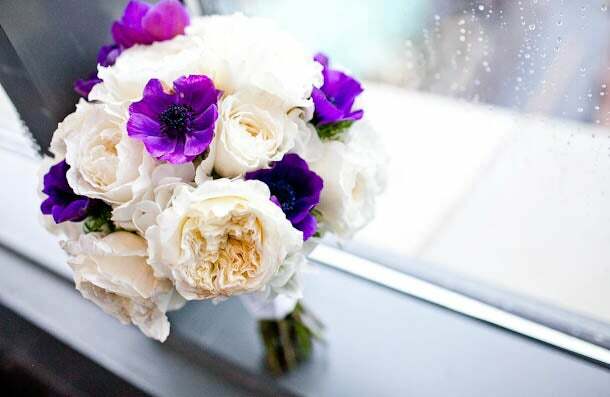 Remy carried a bouquet made of white peonies and purple anemones — her favorite! — for a full look with a pop of color. 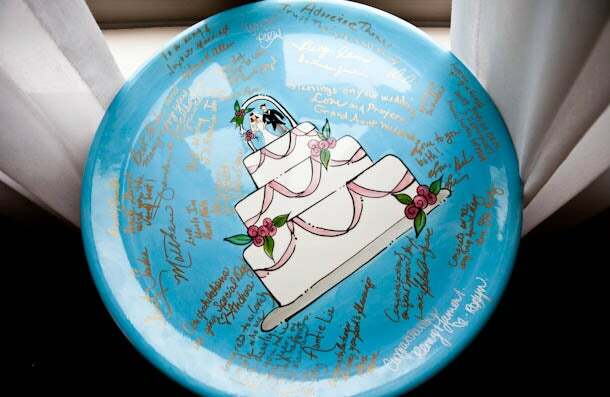 Bridesmaids and family members signed a keepsake plate for Remy and Lamont before the wedding began, which made it easy for the newlyweds to have a piece of their wedding day with them always. 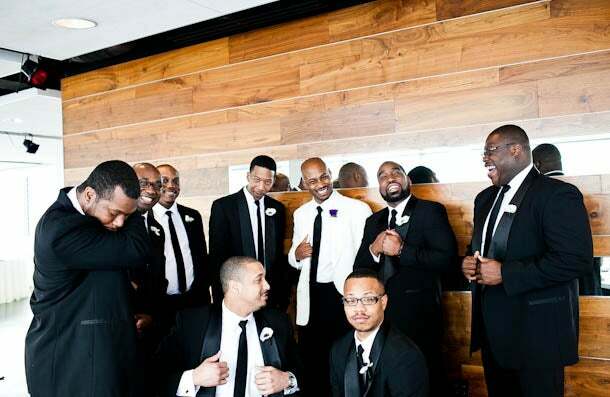 Eight groomsmen were by Lamont’s side on his wedding day. What a classy bunch—they sure are wearing those suits. Let’s hear it for the fellas! 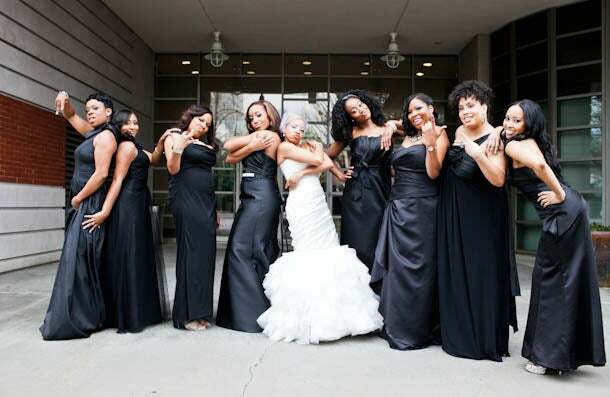 We adore this sassy, fun bridal party shot of Remy and her girls. "Remy is the most positive person I've ever met," Lamont tells us. 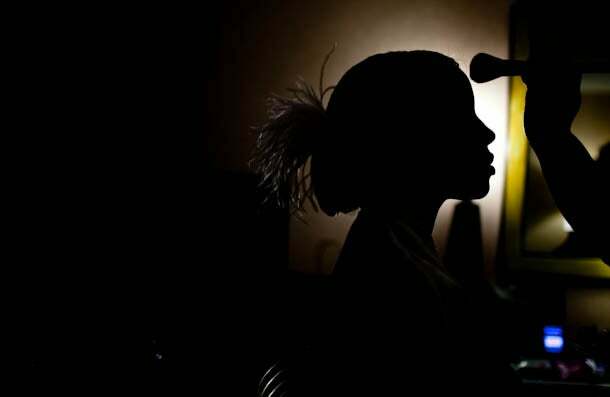 "She has such a vibrant attitude and energy that reflect in all aspects of her life. Remy is also incredibly intelligent with a thirst to learn new things all the time." 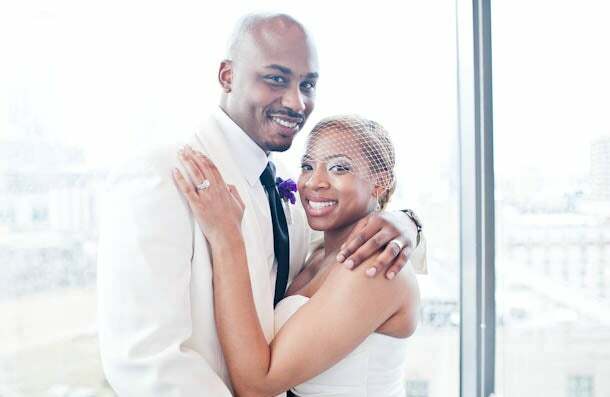 "I chose Remy to be my wife because I couldn't imagine the rest of my life without her," says Lamont. "Her personality, her beauty and her undeniable love for me were all part of me wanting to call her my wife." 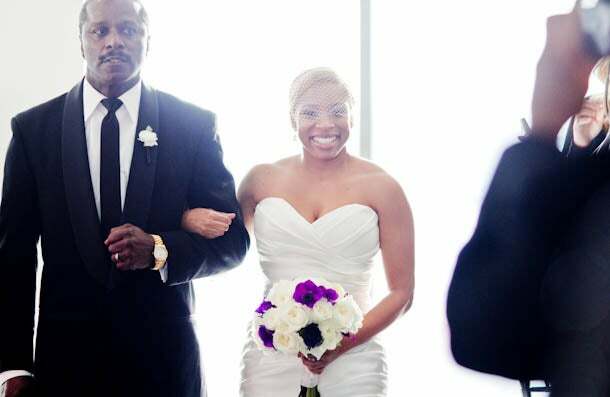 “My dad walked me down the aisle,” says beaming bride Remy. “He has been there for me all my life and I knew this would be a proud moment for him, so I wanted to share that with him.” The bride’s cousin Dana Master, who sings in a jazz band and came to visit all the way from Ireland, sang “At Last” by Etta James for the special moment. 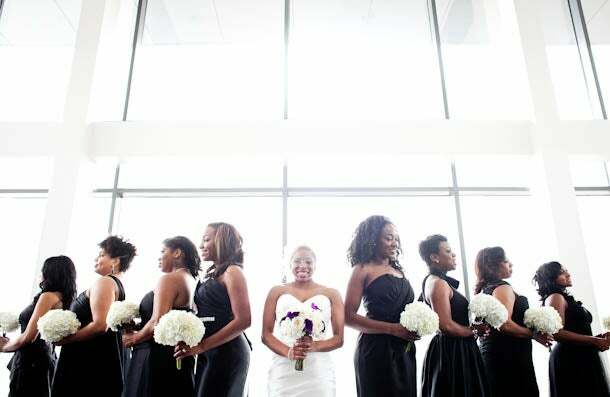 Remy's bridesmaids held lovely all-white bouquets of hydrangeas. 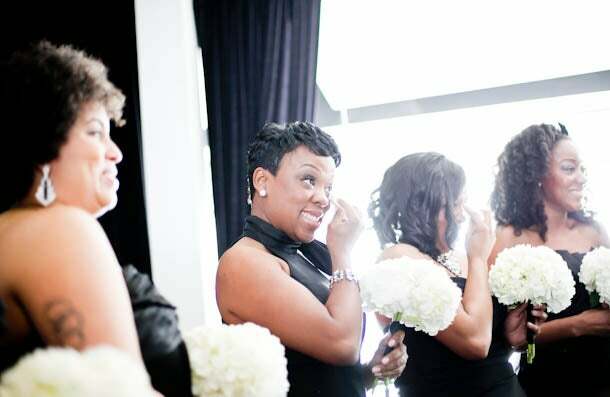 A few got a little misty-eyed during the couple's heartfelt ceremony. 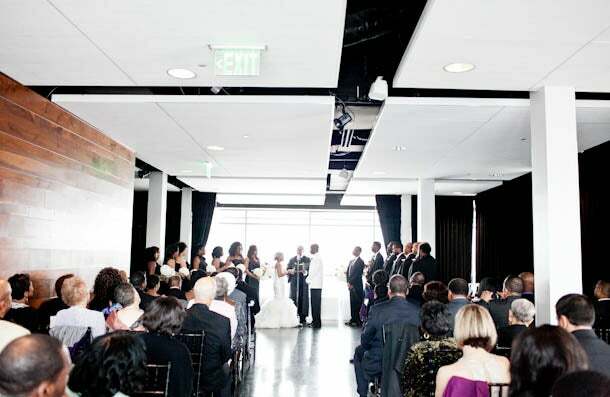 "The ceremony was supposed to be outside on the terrace with the city as the backdrop, but due to inclement weather, we had it inside instead," says Remy. 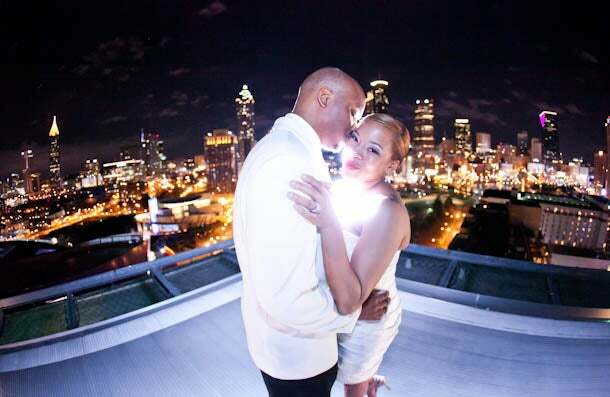 “I knew in my heart Lamont was the man I wanted to spend the rest of my life with,” says Remy. “I couldn’t imagine my life without him." 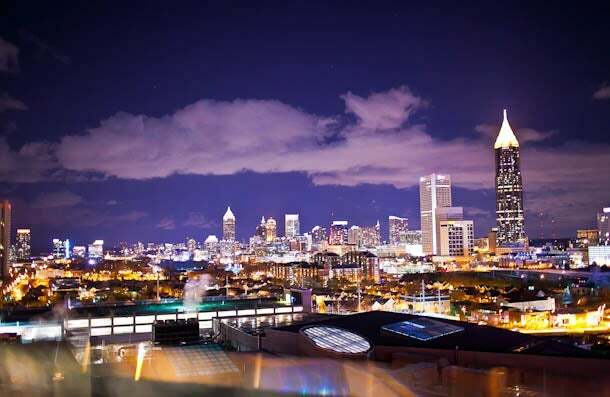 Could the backdrop to Remy and Lamont's big day have been any more beautiful? We think not! 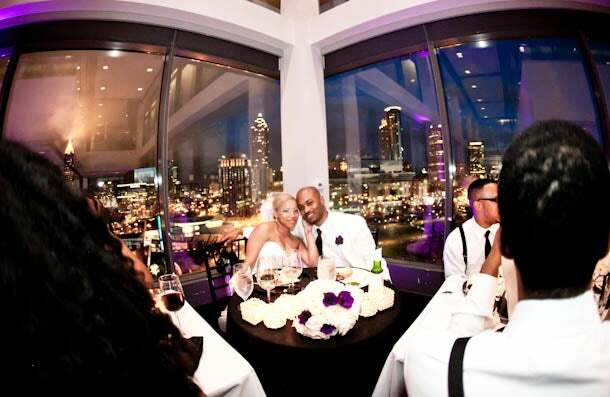 Remy and Lamont chose popular Atlanta rooftop venue The Ventanas because of its spectacular city views and modern decor. 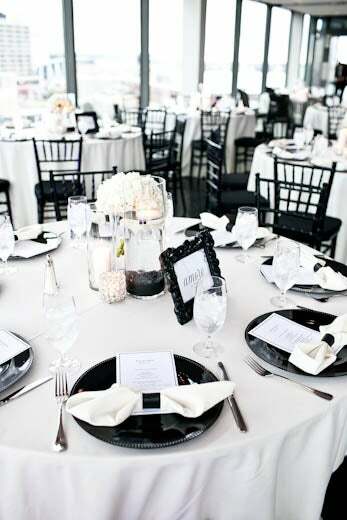 After the ceremony, the wedding party and immediate family went to take pictures while guests enjoyed a cocktail hour with passed hors d'oeuvres. The evening reception kicked off with wedding party and family introductions. 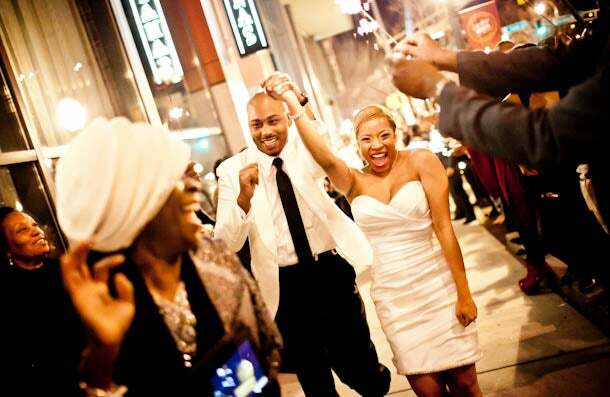 “Lamont and I then made our grand entrance and had our first dance to ‘Angel’ by Anita Baker,” says Remy who couldn’t wait to continue the celebration. 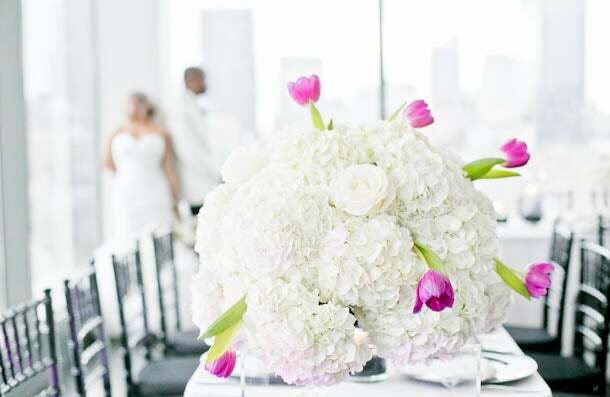 The long, romantic king tables at the couple’s reception were decorated with lovely oversized arrangements of lush hydrangea and purple tulips. 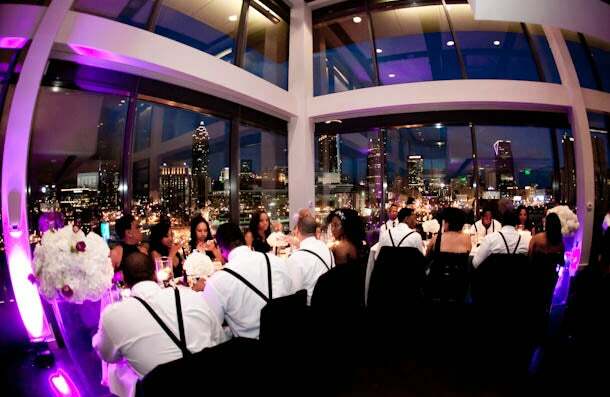 Popular Atlanta florist Edge Design Group was responsible for the magnificent centerpieces and all wedding day florals. 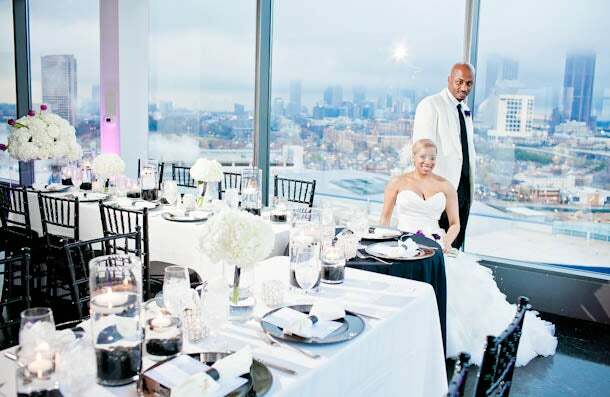 No matter where their cherished guests were seated, they were treated to first class decor and breathtaking panoramic views. 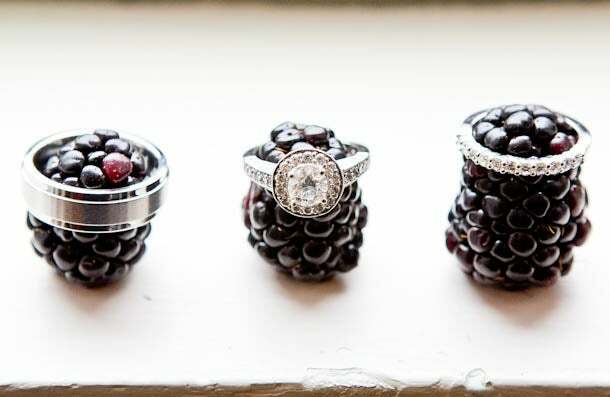 Wedding planner Jan Hill McBee of La Fete Weddings and Events helped bring the couple's vision to life. 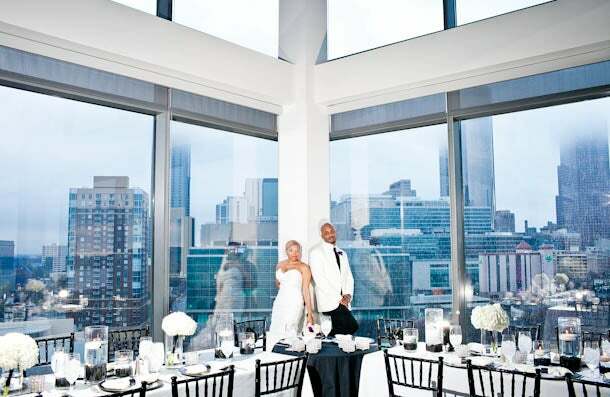 "She was amazing and a crucial part of all the planning details," says Remy. One of the things we love most about Remy and Lamont's portraits is how unique they are. The happy couple hosted a Southern-themed reception dinner complete with fried chicken, mac and cheese and cheddar biscuits. 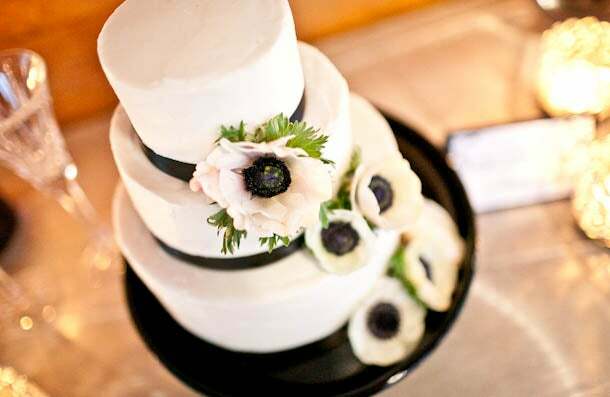 Remy's favorite bloom, the anemone, popped up once again on their elegant wedding cake. In addition to a wedding cake, Remy and her new hubby Lamont, with a little help from bakery Sift!, treated guests to a little something extra for dessert. 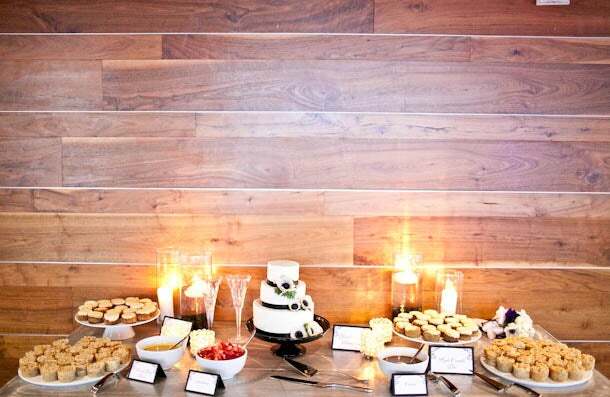 "We created a dessert table concept that featured our favorite desserts," explains Remy. 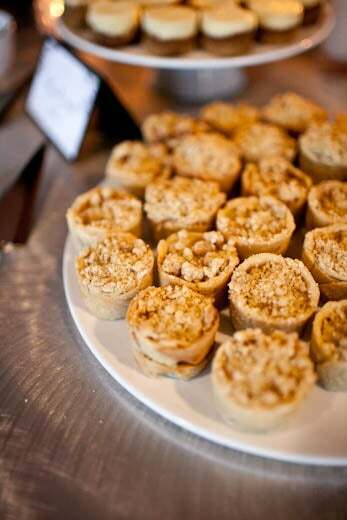 "All around the cake we had small apple pie crisps with caramel and small New York cheescakes that had several toppings you could drizzle on top," says Remy. 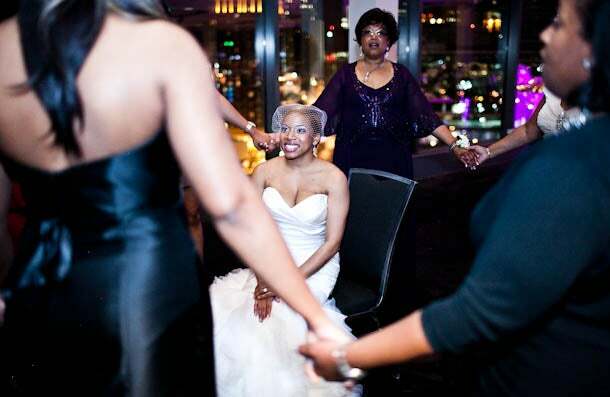 Remy and Lamont dined with their bridal party beneath the city lights. 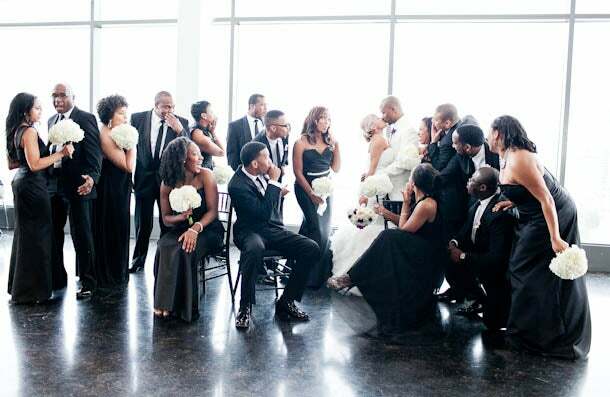 The newlyweds were celebrated non-stop as many friends and family stood up to give toasts. All of Remy's Delta Sigma Theta sorority sisters serenaded her with the organization's sweetheart song. 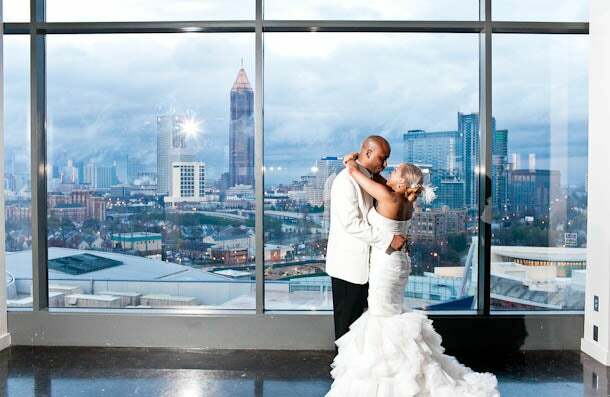 Even the Atlanta skyline seemed to blend in with the theme and colors of the couple's wedding day. 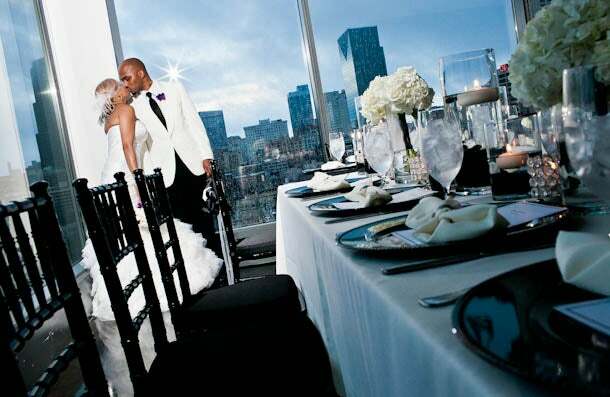 "Surprisingly, we didn't have any wedding bloopers," says Remy. 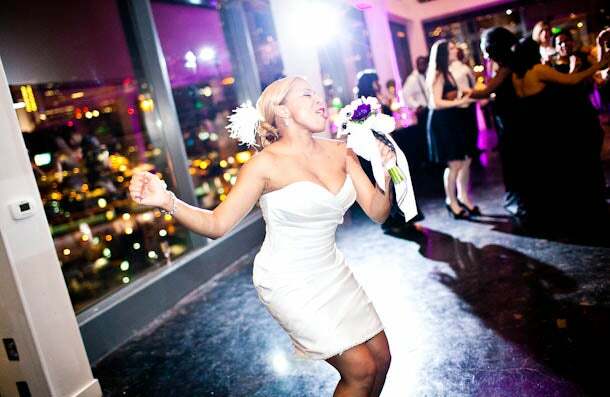 "Our entire wedding weekend went off without a hitch!" The bottom of Remy's mermaid gown zipped off so that she could convert it into a short, sassy party gown. (Brilliant!) "DJ Tron was the entertainment," she recalls. "As soon as he started playing music, we knew it was going to be exactly the kind of celebration we desired." 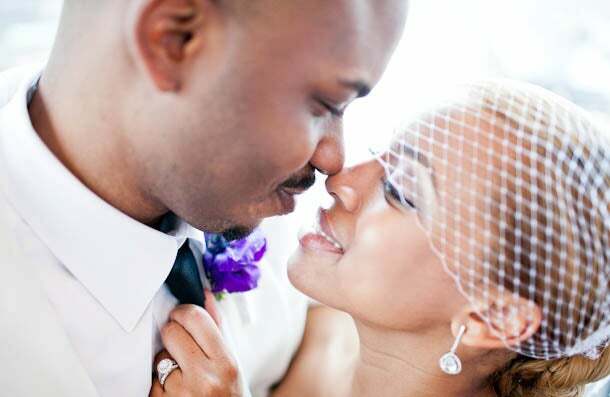 "I was extremely happy to share my love for Remy with her and our family and friends on our wedding day," says Lamont. 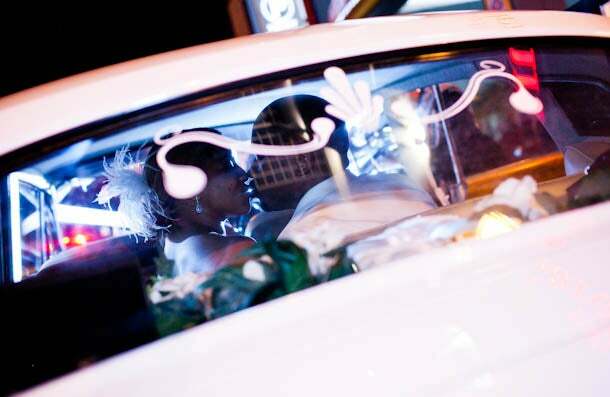 Lamont and Remy left the reception party in an all-white vintage car and headed to St. Lucia for their honeymoon. 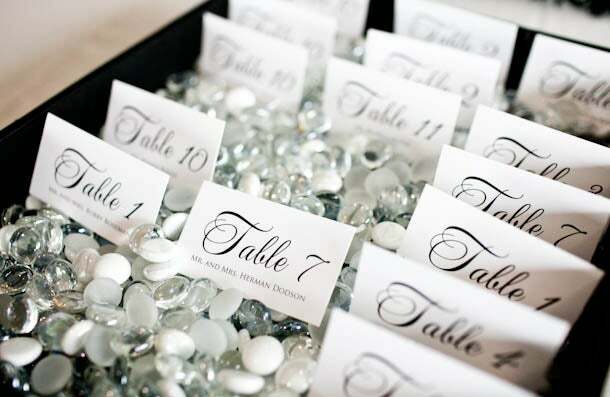 Tell us which wedding details were your favorite and leave the newlyweds some comment love below. 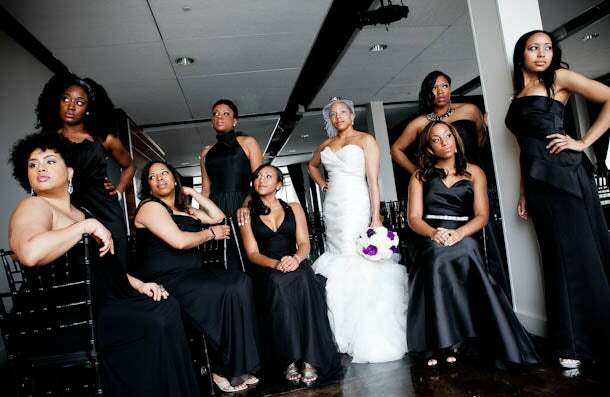 Want to see your wedding featured in Bridal Bliss? Email us now!